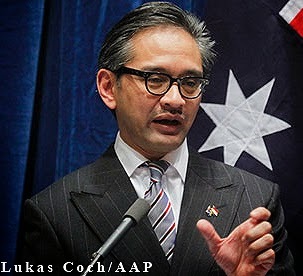 Indonesia has said Australia and America need to “clean up their mess” to salvage relations with Indonesia after revelations that Australia spied on a law firm representing Indonesia in a trade dispute. New documents from whistleblower Edward Snowden reveal that the Australian Signals Directorate (ASD) spied on an American law firm representing Indonesia in a trade dispute and offered the information to America, the New York Times reported on Sunday. Indonesian presidential adviser and spokesman on foreign affairs, Teuku Faizasyah, said the president had been advised of the revelations by foreign minister Marty Natalegawa. “Indeed, it is another perplexing revelation of spying toward Indonesia’s national interest,” he told Guardian Australia via text message. 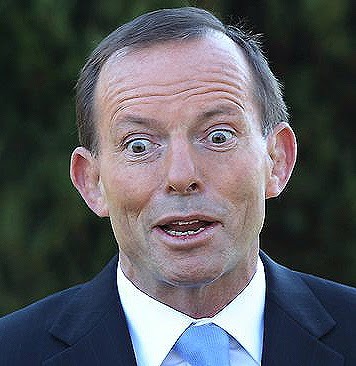 Prime minister Tony Abbott said it was a longstanding practice of all Australian governments not to comment on intelligence matters, but that the country did not spy for commercial purposes. “I also make the point that we do not use anything that we gather as part of our ordinary security and intelligence operations to the detriment of other countries,” he said. American secretary of state John Kerry is visiting Indonesia this week and while Indonesia was planning to raise concerns about Australia’s naval incursions into Indonesian waters, the surveillance revelations may also be included in talks. 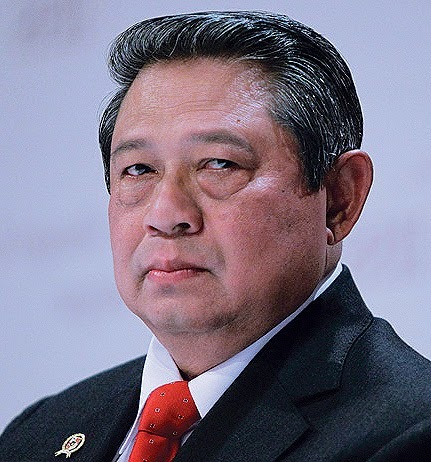 Negotiations are ongoing between Australia and Indonesia to set up a code of ethics between the countries after Guardian Australia and ABC reported last year that Australia had tapped the phone of Indonesia’s president and his inner circle, including his wife. The documents used in the latest reports came from whistleblower Edward Snowden and also revealed that Americans “mentored” Australians on how to crack encrypted communication used by Papua New Guinea in 2003 and that America had given Australia access to mass cell data from Indonesia, which included information on officials working in ministries. Greens senator Scott Ludlam said Australia was being used for corporate and economic surveillance that had nothing to do with national security. He said the latest documents were helping expose how enmeshed Australia is in a global surveillance network and in helping other countries to circumvent their own laws. “This uncovers the degree to which agencies and surveillance powers are being used for economic and corporate espionage, which has nothing to do with national security,” he said. He said federal politicians from both sides in Australia refused to discuss the extent of surveillance, acting as if a “bomb is going to go off” even when the spying has nothing to do with potential threats. 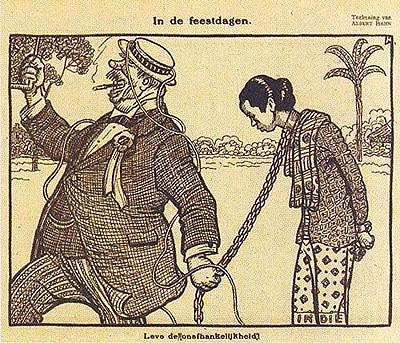 “I suspect this is going to further degrade the trust between Indonesia and Australia,” he said. Abbot seeks to return Indonesia to the "good old days"
Opposition leader Bill Shorten also would not comment specifically on the allegations, but said the government “needs to slip into fifth gear” to rebuild the relationship with Indonesia. “I want to take a bipartisan tone here. Security matters I don’t comment on, that is the convention that is appropriate,” he told reporters in Adelaide. The subject of trade discussions monitored by ASD is unclear, but two disputes around that time involved the importation of clove cigarettes and shrimp to the US, according to the New York Times. A monthly bulletin from the NSA’s liaison office in Canberra said the ASD was monitoring the talks and offered to share any information with the US. It offered up that “information covered by attorney-client privilege may be included”. Liaison officials asked for guidance for Australia from the NSA general counsel’s office on the surveillance. The bulletin did not specify what the guidance was, but said Australia was “able to continue to cover the talks, providing highly useful intelligence for interested US customers”. 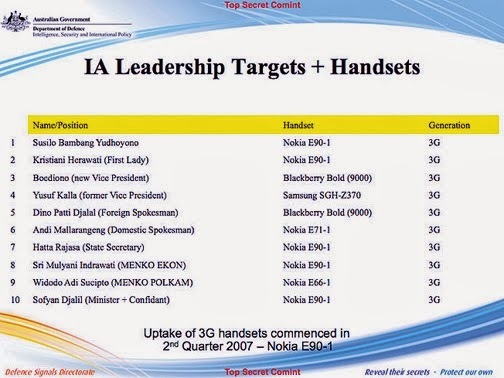 In addition, a 2012 document revealed that America and Australia share access to Indonesian telecommunications. The NSA has given Australia access to bulk data collected from Indosat, one of Indonesia’s largest telecommunications networks. This includes data on Indonesian government officials in a number of departments. The ASD has also obtained 1.8m encrypted master keys from the Telkomsel mobile telephone network in Indonesia and has decrypted almost all of them, according to a document from last year. According to a separate document, the US sought to “mentor” Australia to break the encryption codes used by the armed forces in Papua New Guinea and another document reveals the NSA and ASD run an intelligence facility in Alice Springs, where half the personnel are from the NSA with particular focus on monitoring Indonesia and China. It is known that Australia and the US jointly run a defence facility near Alice Springs named Pine Gap. Ludlam said a senate inquiry had already been approved to look into surveillance but more needed to be done. “In Australia there is not a lot being done while around the world, such as in America, there is a very sophisticated and profound debate occurring about whether the actions of the NSA are appropriate or not,” he said. He said Australia in particular had to look at surveillance in an international context and whether systems were being undermined. “It is hard to crack the bipartisan silence on this issue,” he said. Ludlam’s comments and the latest Snowden revelations come after attorney general George Brandis launched an attack on both in the Senate last week. Brandis said the senator celebrated “the American traitor Edward Snowden”, arguing the disclosures about western intelligence gathering has “put Australian lives at risk”. Brandis asked in parliament how Ludlam could hold his head up high while honouring the former US National Security Agency contractor’s “criminal conduct and treachery”. The trigger for the criticism was a question from Ludlam about “indiscriminate government surveillance” and whether the government recognised the legitimate concerns of Australians and the need to follow the US in reforming intelligence practices.